November 14, 2018 by Ecommerce News. About Launch with tags Austria. 2774 views. 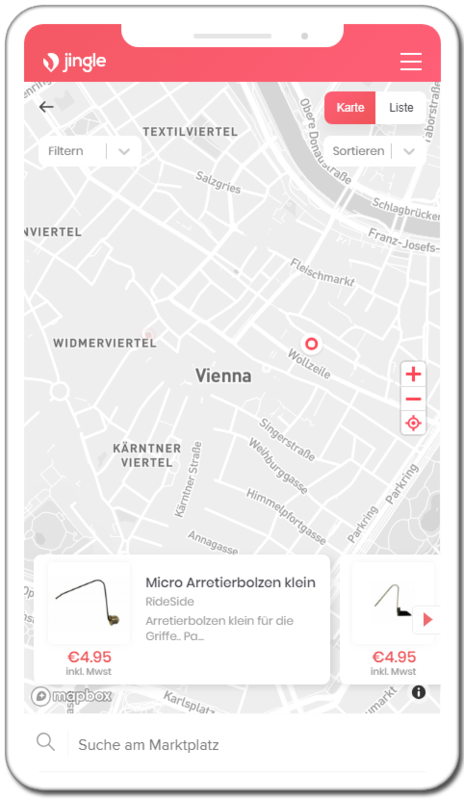 Jingle, a startup from Vienna, wants to be a local alternative to major online retailers. With its marketplace app, consumers can easily browse and find products from local retailers. This month, Jingle has received a six-digit investment from Umdasch, an Austrian company that realizes stores for retail companies. Last Monday, Jingle has launched a beta version of its app, which retailers can test. For the next year, plans are to create a marketplace and to complete the platform for dealers. For now, the focus is on the Viennese market, but it should be rolled out to other cities across Austria and even Europe in the future. Jingle is a startup that wants to display all retailer products in one simple app. By using artificial intelligence, users can easily communicate with the app and search for suitable dealers who have stored a certain products. The app also offers the opportunity to browse special offers. Through direct route guidance, these products can then be picked up at the store. In the near future, it should also be possible to get these products delivered. “This not only increases the flexibility of customers when shopping locally, but also ensures market access for small shops”, Umdasch writes. This company, which calls itself “the store makers”, as it provides retail solutions and realizes physical stores, has invested in Jingle. “This investment opens up several possibilities for us: On the one hand, we can tailor our product to fulfil the requirements and do better marketing, on the other hand, we have a strategic partnership with a big player for retail solutions”, Gregor Wallner, CEO of Jingle, says. The marketplace app of Jingle.